Sandra comes to us with broad experience in the profit and non-profit worlds. Raised in Maine, she began her career in Boston on the staff of Price Waterhouse, an international accounting firm, and continued in banking and financial management. 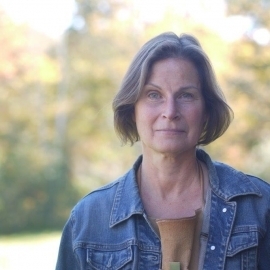 A lifelong maker and an art history major at Smith College, she missed her connection to craft and the arts and found a home in arts administration, serving as director of administration for the New England Foundation for the Arts, a grant making and consulting organization for local arts presenters. While raising her family, she volunteered for numerous educational and non-profit causes, most notably on the board of an artist’s cooperative and theater. In retirement she has returned to Maine to continue her longtime support of crafters and artists while endeavoring to improve her own skills in textiles and woodworking.